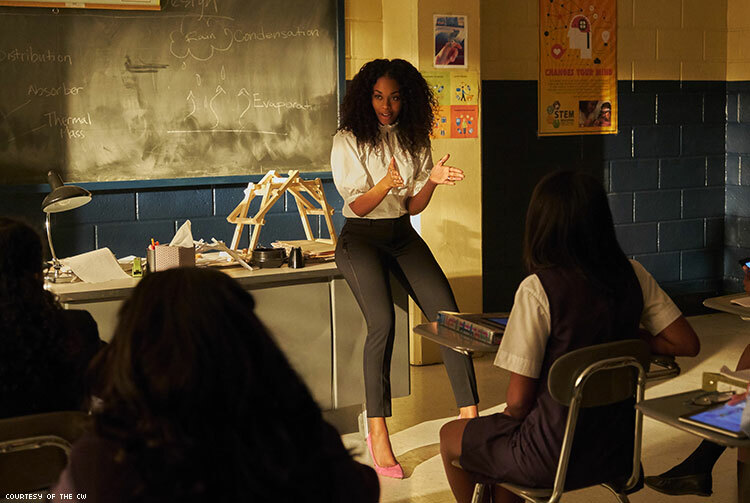 Nafessa Williams, who plays a gay superhero on The CW's Black Lightning, is inspiring other young girls of color to "walk in their own superhero." History will be made tonight when Nafessa Williams slips into the role of Anissa Pierce, i.e. Thunder, in The CW’s Black Lightning. The highly-anticipated show will also feature the first black superhero family on network TV. The series centers around the Pierce family, led by patriarch Jefferson Pierce (Cress Williams, no relation to Nafessa), a principal of a charter school as well as an advocate for education. With his ex-wife (played by Christine Adams), Jefferson is raising his two daughters, Jennifer (China Anne McClain) and Anissa; the latter of whom is gay. After seeing the damage his powers caused his family, Jefferson left his superhero days behind to settle into being a principal and dad. Now, his daughters are realizing they have super powers of their own and embrace them to become Thunder (Anissa) and Lightning (Jennifer). Together, the two women inspire their dad to rise again, and help save their city from crime and corruption. To get herself superhero ready, Williams says she studied one of her own superheroes: 1970s B-movie superstar Pam Grier. Just like in the comic of the same name, released by DC Comics, Thunder has a love interest, Grace Choi, played by Pretty Little Liars’s Chantal Thuy. Like the character in the comics, Choi is bisexual. Like Williams herself, Anissa is a force to be reckoned with, not just as a superhero, but as a staunch advocate for education. At one time in her life, Williams was going to law school and worked at the District Attorney’s office in Philadelphia's homicide unit. That is, until one day she decided to achieve her dream of being an actress. One might say her time in the homicide unit prepared her to play Thunder. Having grown up in Philadelphia's inner city, Williams says playing the crime-fighting Thunder is literally a dream come true. 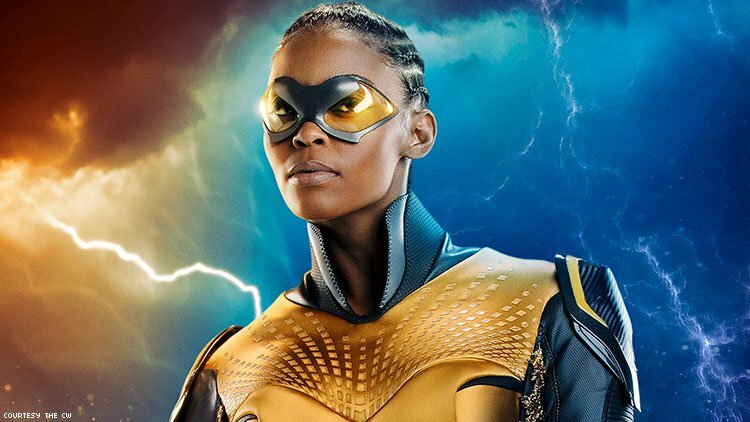 Black Lightning premieres Tuesday, January 16 at 9 p.m. ET on The CW.